Dieser Artikel wurde 3431 mal gelesen und am 24.01.2018 zuletzt geändert. Klaus Schlichtmann shared his news about an initiative in Japan, which is just taking off, and in which he participates in an advisory position. He has been working in Japan with Japanese pacifists for a long time. Thes Pacifists want to spread an Article 9 around the world. In this regard, I have long argued that Article 9 is a ‘motion’ to abolish war. (Peace Constitutions and Collective Security, Japan’s Motion to Abolish War). Schlichmanns Japanese pacifist friends have now launched a campaign to raise the issue of Article 9 at the United Nations General Assembly. 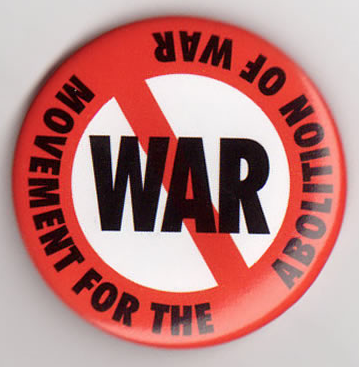 Why should it not be possible to make a proposal in the UN General Assembly or to initiate a formal legislative process calculated to abolish war as an institution? The ‘normative current’ of peace constitutions—in particular the articles of the constitutions of France, Italy, Germany and Denmark etc. (see attachment) — suggests that a formal legislative process is possible. b) pass legislation in their parliaments to transfer security sovereignty (“primary responsibility for the maintenance of international peace and security”) to the United Nations Security Council in a National BILLunder Article 24 of the UN Charter. Some international lawyers may claim that passing legislation in the national parliament to initiate the transition to genuine collective security and disarmament is not an option. The campainers are calling for an OPEN DEBATE! Here in Japan we are, like people elsewhere, worried about the state of the world, its peace and security, and the many political, social and environmental problems of today. Having lived in Japan for 25 years, as a European I am also very worried about the situation in Europe. Europe was supposed to be and become a model for world peace, to bring about the next stage in the development of an international organization of peace based on justice and order. Having come to Japan on a scholarship, I am now the academic advisor to a local group here in Hidaka near Tokyo. Our aim is to get some countries in the United Nations General Assembly to take up the issue of abolishing war as an institution. Having experienced Hiroshima and Nagasaki, the Japanese in their post-war Constitution have moved that war be abolished. Indeed, Article 9 of the Japanese Constitution can be seen as a motion waiting to be seconded. This would start the debate and the transition to genuine collective security and disarmament. The ideal place to do this would be the United Nations General Assembly. An important follow-up question is: How would nations embark on the transition? This is where the peace constitutions and the Japanese Article 9 come in. Aspiring sincerely to an international peace based on justice and order, the Japanese people forever renounce war as a sovereign right of the nation and the threat or use of force as a means for settling international disputes. In order to accomplish the aim of the preceding paragraph, land, sea, and air forces, as well as other war potential will never be maintained. The right of belligerency of the state will not be recognized. If we want to achieve an “international peace based on justice and order,” peace constitutions are relevant in as much as they correspond to and complement the United Nations Charter. (See the list of articles in Document III in the APPENDIX !) We now believe that these Articles, including Article 9, were meant to trigger and initiate the transition stipulated in the UN Charter. However, since no action has been taken so far to implement these provisions and start the process of the transition, our Japanese friends believe that those nations that do not have a military or a standing army could take the initiative and take up the issue in the UN General Assembly. Our campaign has only just started, but as academic advisor to the campaign I want to inform you and provide you with some basic knowledge tools to achieve the desired end. The United States and the USSR have agreed to recommend the following principles as the basis for future multilateral negotiations on disarmament and to call upon other States to cooperate in reaching early agreement on general and complete disarmament in a peaceful world in accordance with these principles. The goal of negotiations is to achieve agreement on a programme which will ensure that (a) disarmament is general and complete and war is no longer an instrument for settling international problems, and (b) such disarmament is accompanied by the establishment of reliable procedures for the peaceful settlement of disputes and effective arrangements for the maintenance of peace in accordance with the principles of the United Nations Charter. The programme for general and complete disarmament shall ensure that States will have at their disposal only those non-nuclear armaments, forces, facilities, and establishments as are agreed to be necessary to maintain internal order and protect the personal security of citizens; and that States shall support and provide agreed manpower for a United Nations peace force. (e) discontinuance of military expenditures. The disarmament programme should be implemented in an agreed sequence, by stages until it is completed, with each measure and stage carried out within specified time-limits. Transition to a subsequent stage in the process of disarmament should take place upon a review of the implementation of measure included in the preceding stage and upon a decision that all such measures have been implemented and verified and that any additional verification arrangements required for measures in the next stage are, when appropriate, ready to operate. All measures of general and complete disarmament should be balanced so that at no stage of the implementation of the treaty could any State or group of States gain military advantage and that security is ensured equally for all. All disarmament measures should be implemented from beginning to end under such strict and effective international control as would provide firm assurance that all parties are honouring their obligations. During and after the implementation of general and complete disarmament, the most thorough control should be exercised, the nature and extent of such control depending on the requirements for verification of the disarmament measures being carried out in each stage. To implement control over and inspection of disarmament, an International Disarmament Organization including all parties to the agreement should be created within the framework of the United Nations. This International Disarmament Organization and its inspectors should be assured unrestricted access without veto to all places as necessary for the purpose of effective verification. Progress in disarmament should be accompanied by measures to strengthen institutions for maintaining peace and the settlement of international disputes by peaceful means. During and after the implementation of the programme of general and complete disarmament, there should be taken, in accordance with the principles of the United Nations Charter, the necessary measures to maintain international peace and security, including the obligation of States to place at the disposal of the United Nations agreed manpower necessary for an international peace force to be equipped with agreed types of armaments. Arrangements for the use of this force should ensure that the United Nations can effectively deter or suppress any threat or use of arms in violation of the purpose and principles of the United Nations. Please check document online at www.unfor.info/transition_text.pdf and print it out to study! CHECHNYA: Article 6. Chechen Republic respecting of the right and freedom of the peoples is guided by conventional principles and norms of international law in external policy. It aims at the general and fair peace based on common human values; to close, business and mutually advantageous cooperation with all countries.